New Yorkers and people willing and able to travel on a whim: come and see the latest installment of Drawn Out Storytelling on Thursday, November 3rd! 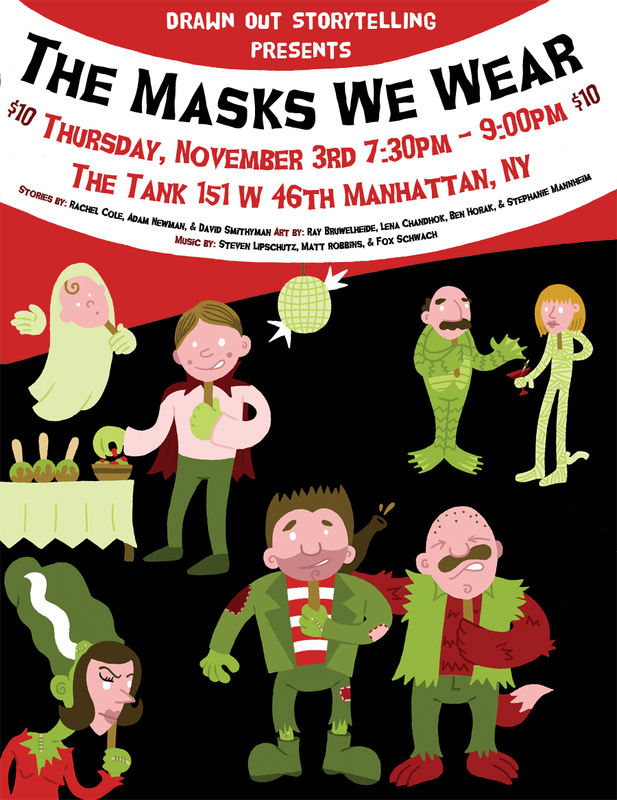 It’s our almost-timely Halloween show, and it should be a fun one. For more information, you can pore lovingly over my poster, or check out our event on Facebook or our website. All content is © Paul Swartz 2010-2011 unless otherwise noted. Rio Aubry Taylor presents: Light-Riot!